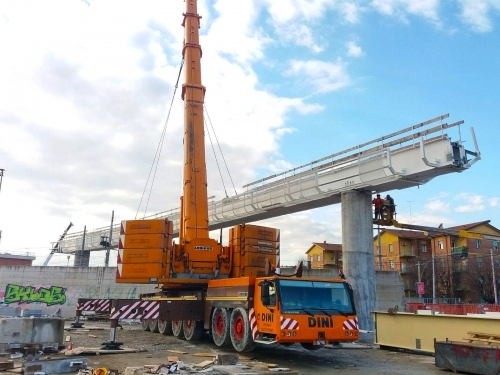 The metal structure of the viaducts and stations of the mass rapid transit infrastructure, called "People Mover", is constructed for the connection between the Guglielmo Marconi airport and the central railway station of Bologna. The estimated weight of the structure: 6000 tons. The total area covered with expanded sheet steel: 35000 sqm. The total area covered with sandwich panels: 3400 sqm. The total area of parapets: 1600 sqm. Direct transport facilities on site. Our project successfully proceeds .